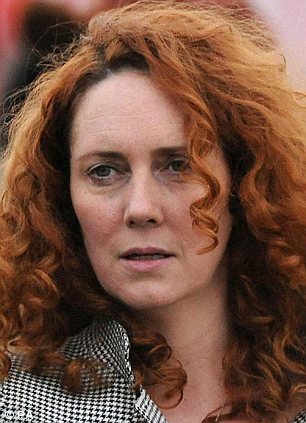 Former News International chiefs Andy Coulson and Rebekah Brooks were formally accused today of a ‘cash for stories’ conspiracy. They were among five people named over claims public officials took bribes in exchange for confidential information. Among them is a senior Ministry of Defence official who is accused of pocketing £100,000 over eight years. Alison Levitt QC, of the Crown Prosecution Service (CPS), announced two groups of suspects will face trial. The first includes Mr Coulson over allegations the Royal Household’s internal phone directory and other sensitive information was leaked. 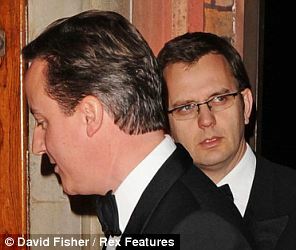 Prime Minister David Cameron’s former chief spin doctor is accused of conspiring with former News of the World royal correspondent Clive Goodman. Miss Levitt said the two men will face charges over two conspiracies, one in 2002-03 and one in 2005, relating to the authorisation of payments to public officials. She said the information handed over included a Royal directory known as the Green Book which included contact details for the Royal family and their aides. 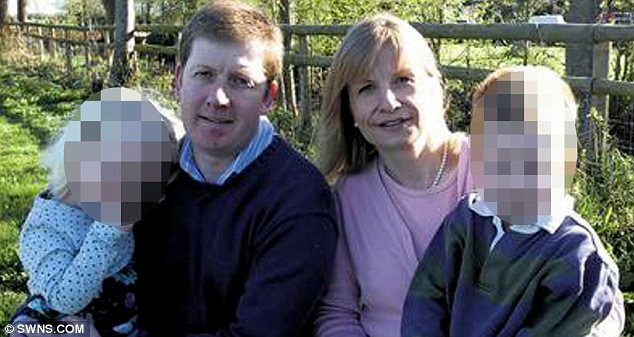 Prosecutors claim the second conspiracy involved Mrs Brooks, former Sun chief reporter John Kay and MoD official Bettina Jordan Barber. Miss Levitt said Mrs Jordan Barber is accused of accepting cash for information that formed the basis of ‘a series’ of stories in The Sun. Launched in January 2011, it was the first investigation launched to probe allegations of phone hacking. So far 22 people have been arrested. Launched in February 2011 to investigate allegations of inappropriate payments to police. So far 52 people have been arrested. Launched in June 2011 to investigate allegations of computer hacking. So far 18 people have been arrested. The senior barrister added that police continue to investigate a fourth unnamed suspect over this alleged conspiracy. The announcement is the most major development to date in Operation Elveden, Scotland Yard’s sprawling probe into claims of corruption between journalists and public officials. A total of 52 people have been arrested and questioned, including journalists, police officers, military officials and other civil servants. Last week two suspect, a retired police officer and a former journalist, were told they will face no further action. A senior counter-terrorism detective has already been charged and is due to face trial in January. Detective Chief Inspector April Casburn is accused of leaking information to the News of the World about discussions to reopen the hacking inquiry. 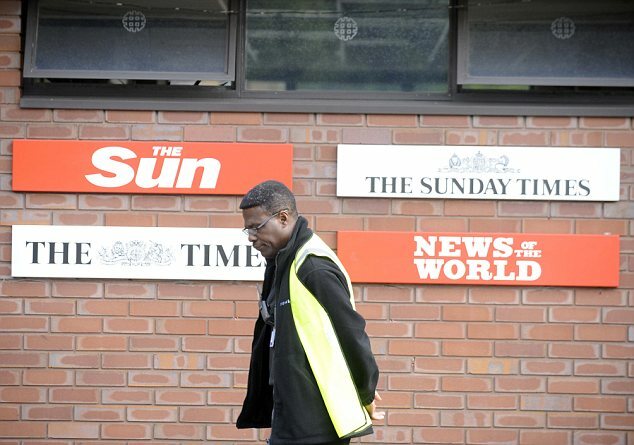 Mrs Brooks edited the News of the World before taking over The Sun in January 2003 and becoming chief executive of News International in September 2009. Mrs Brooks was officially charged at a London police station this morning and was bailed to appear at Westminster Magistrates Court on November 29. Mr Coulson edited the News of the World between 2003 and 2007 before becoming the Conservative party’s director of communications. Mr Kay, an award-winning reporter, was chief reporter at The Sun for 21 years until his retirement last year. He was charged at a London police station this morning and will appear at Westminster Magistrates Court in November. Mr Goodman was royal correspondent at the News of the World for several years until 2007. Mrs Jordan Barber is a senior official at the MoD where she worked on high-level strategy and co-ordinating visits to Afghanistan. All five will appear in court within days accused of conspiracy to case misconduct in a public office, an offence which carries a maximum sentence of life imprisonment. Miss Levitt, who is overseeing prosecution decisions over all phone hacking and bribery cases, said the cases involve two files handed over by police on August 30. She said: ‘All of these matters were considered carefully in accordance with the Director of Public Prosecutions’ guidelines on the public interest in cases affecting the media. ‘This guidance asks prosecutors to consider whether the public interest served by the conduct in question outweighs the overall criminality before bringing criminal proceedings. Asked about the charges during a visit to Northern Ireland, Mr Cameron said he had expressed ‘regret’ on many occasions regarding the issue. ‘I have also said very clearly that we should allow the police and the prosecuting authorities to follow the evidence wherever it may lead and I think that is very, very important,’ he said. Cheshire-born Brooks, 44, began her career at French magazine L’architecture d’aujourd’hui in Paris, before returning to Britain to work for Eddy Shah’s short-lived newspaper venture paper The Post in 1988. She joined the News of the World in 1989, as a secretary before becoming a feature writer on the paper’s Sunday magazine. From there she rose through the ranks before she was made deputy editor of the paper, aged 27. In 1998, she became editor of sister publication The Sun. In 2000, she was appointed editor of the News of the World, making her the youngest editor of national British newspaper just days before her 32nd birthday. In 2002 she married Eastenders actor Ross Kemp in Las Vegas before splitting in 2005. She then married former racehorse trainer Charlie Brooks in 2009 where wedding guests included Tory leader David Cameron and Prime Minister Gordon Brown. In the same year, she was made Chief Executive Officer of News International. She resigned from the role in July 2011. Today’s charge: Between 1 January 2004 and 31 January 2012, she conspired to commit misconduct in public office. 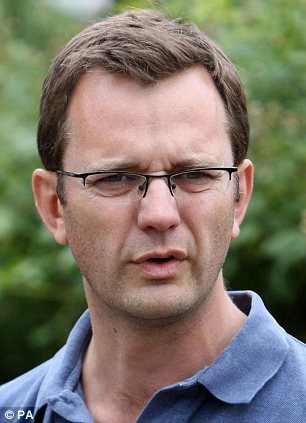 Andy Coulson, 42, started out as a reporter at the Basildon Echo in Essex in 1986, aged 18. After just two years he moved to the Sun where he worked with Piers Morgan on the Bizarre column which he began to edit in 1994 following a nine-week stint on the Daily Mail. 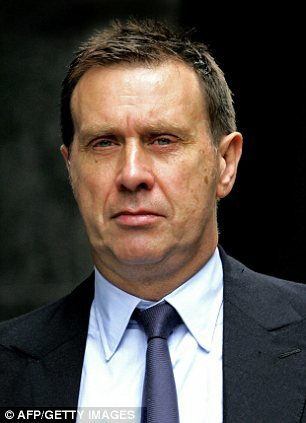 He soon carved out a reputation as a specialist in celebrity gossip, setting up the website page3.com – the first of News International’s websites to make a profit – and was rewarded with the editorship of the News of the World in 2003, aged 34. 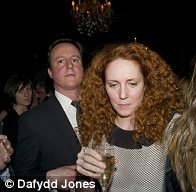 Then in 2007, he left the News of the World and became director of communications for the Conservative Party (pictured with David Cameron), on a salary reported to be close to £400,000. He resigned in 2011. Charge 1: Between 31 August 2002 and 31 January 2003, he conspired to commit misconduct in public office. Charge 2: Between 31 January 2005 and 3 June 2005, he conspired to commit misconduct in public office. Clive Goodman, 53, enjoyed a long career of royal scoops while Royal Editor at the News of the World. He was even said to hold the newspaper’s record for the highest number of consecutive front page leads – five. Known for his pin-striped suits and slicked-back hair, the former royal editor earned himself the nickname the ‘Eternal’ or ‘Olympic Flame’, because he rarely went out. 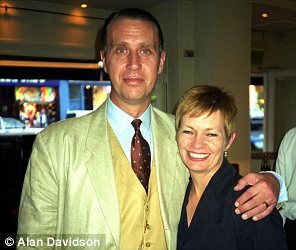 Goodman (pictured with his wife at a party) is said to have been at home, chatting to Diana, Princess of Wales, on her mobile, when she told him about her night-time mercy visits to hospitals. He earned accolades for his work. In 2002, he was named Royal Editor of the Year in The Real Press Awards. An award-winning reporter, John Kay was chief reporter at The Sun for 21 years until his retirement last year. He joined the paper in 1974 and was made chief reporter in 1990. Twice named ‘Reporter of the Year’ in the British Press Awards, a Press Gazette feature in November 2005 also named him as the sixteenth most influential British journalist since the war. Today’s charge: Between 1 January 2004 and 31 January 2012, he conspired to commit misconduct in public office. Before her arrest, Ms barber was a Deputy Team Leader and Strategy Officer at the Ministry of Defence. Previously, she acted for two years as Afghanistan Visits Strategy Officer. 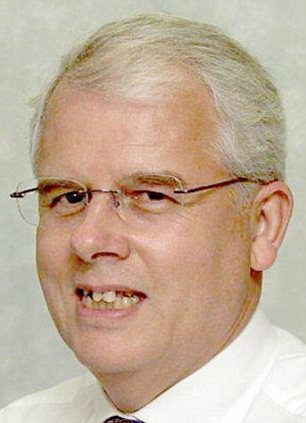 Ms Jordan-Barber worked for the Ministry of Defence’s Iraq desk writing secret briefings for the Secretary of State on the inquiry into the death of Baha Mousa, an Iraqi who died in British Army custody in Basra.